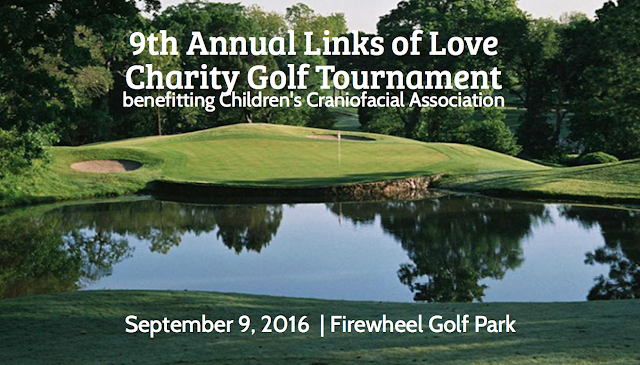 The Links of Love charity golf tournament to benefit the Children’s Craniofacial Association is tomorrow, September 9th. Registration begins at 11:30AM. If you are still interested in participating, it is not too late. You can register online or just go to Firewheel Golf Park tomorrow in time for registration. It is a four-man scramble at $125 per player. Total price includes coffee, beverages, and lunch, too. Enjoy an awards ceremony, auction and raffle items after an afternoon on the course. Firewheel Golf Park is located at 600 W Campbell Rd, Garland, TX 75044If you are unable to join us, please consider donating to the Children’s Craniofacial Association.